It’s both water-wise and wallet-wise to consider alternatives to a grassy lawn. As more homeowners reach this conclusion, inventive designers are finding new ways to achieve beautiful, green surroundings that demand less care and feeding. 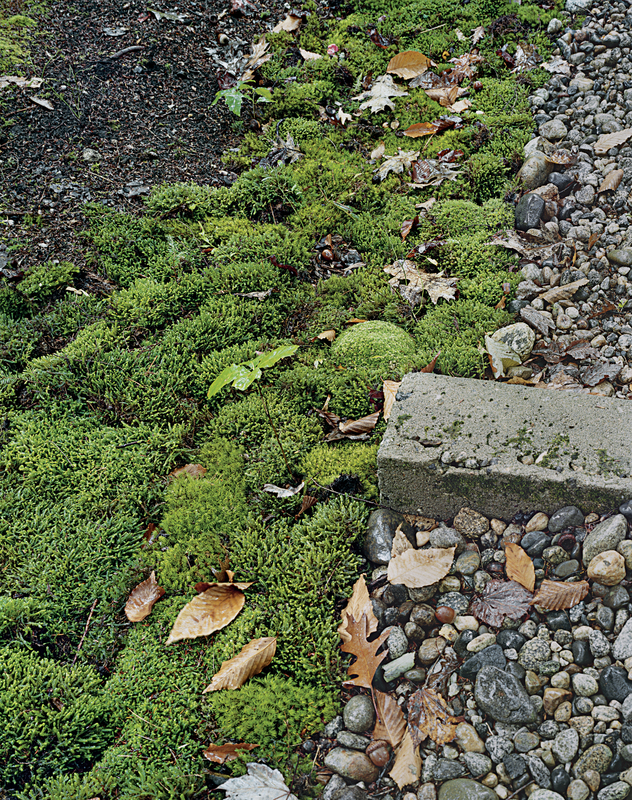 For H. Keith Wagner's Hilltop residence, moss is the green ground cover alternative to water-guzzling grass. 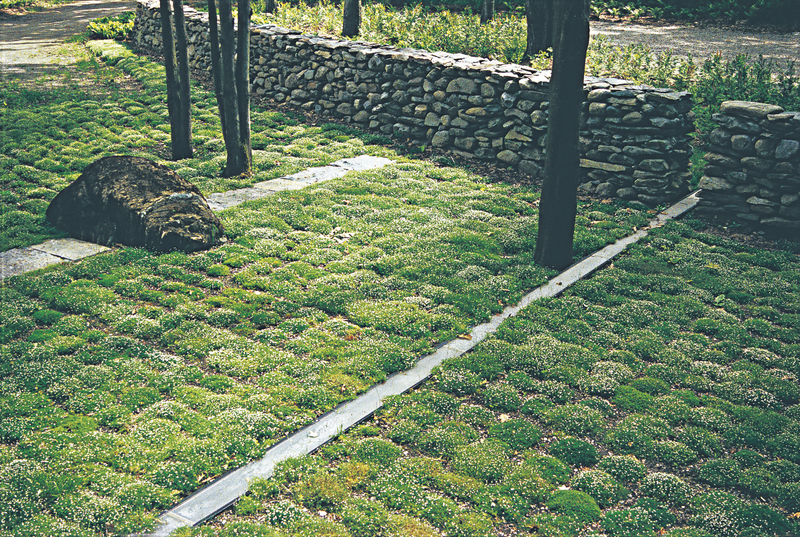 For colder climates that also experience periods of drought, moss is an attractive choice. It thrives in poor, acidic soil, and requires shade, making it perfect for rocky areas with tree cover. For most landscape architects or designers, the topic of xeriscaping is anything but dry. Though it’s taken years (and billions of dollars and gallons of water) it seems that consumers are finally beginning to realize that a green swath of grass is not necessarily an ideal yard, particularly in arid climates. Even the most egregious water-guzzling lawns in the planned communities of Phoenix and Las Vegas are beginning to be supplanted by xeriscaping. While it may be appropriate for the climates in which these plants thrive, this type of planting is not possible for colder climates that also experience periods of drought. There are options for the northerly climes, though. Take moss, for example. As an article published last spring in the New York Times states, “In recent years, this humble, hardy plant, which has been around for at least 450 million years, has been growing in popularity as an alternative to the traditional lawn.” According to some purveyors of moss-scapes, sales in moss have gone up at least 30 percent in the last few years, and rightly so: Moss grows easily in poor, acidic soil, and requires shade, making it great for yards with heavy tree cover. Moss, along with a few other key plantings in and around the yard, can make up an extremely attractive, resource-efficient landscape. Moss takes in all of its nutrients through the air and requires much less watering than conventional grass. It can grow on rocks, allowing people to cultivate a greenscape without having to manipulate the existing landscape. That said, there are a number of fine examples of high-design moss-scapes that also serve to highlight the plants’ more pulchritudinous possibilities. Two excellent examples are both winners of residential ASLA professional prizes: Michael Van Valkenburgh’s project Passage to the Lake and H. Keith Wagner’s Hilltop residence.